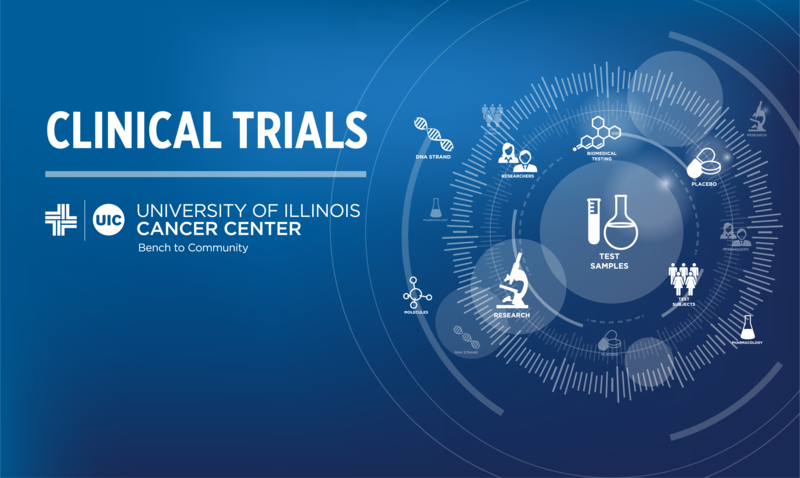 The following studies have recently been activated for patient enrollment by the University of Illinois Cancer Center Clinical Trials Office (CTO). Please click on the link to learn about the details regarding the study on ClinicalTrials.gov. For more information or questions about a study, please email cancertrials@uic.edu or call 312-355-5112.